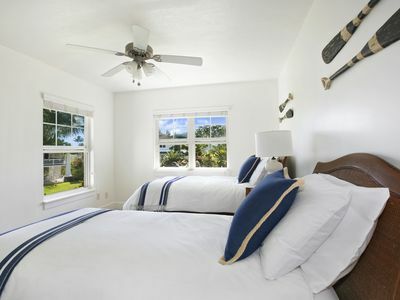 Beautifully remodeled 1300 ft2, very spacious townhouse, two bedrooms with a king size bed in the master bedroom and queen size in the downstairs bedroom. 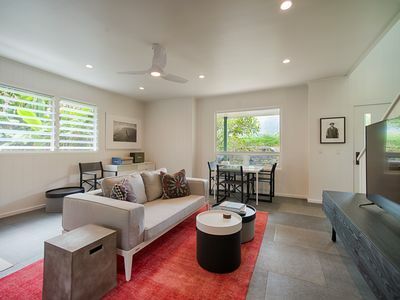 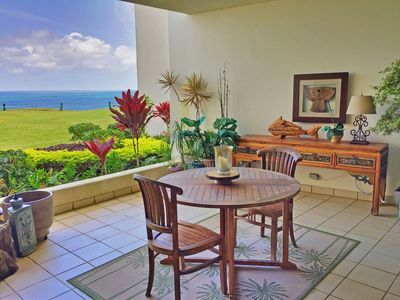 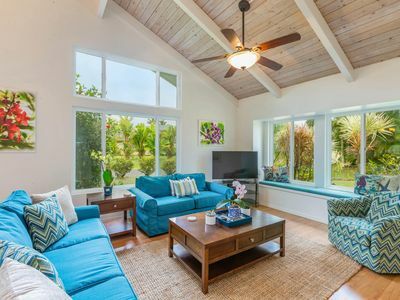 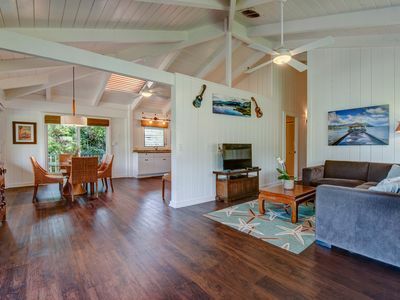 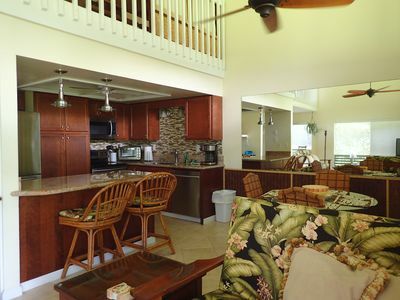 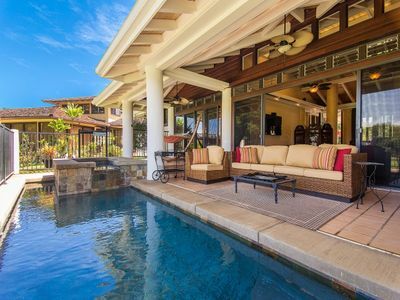 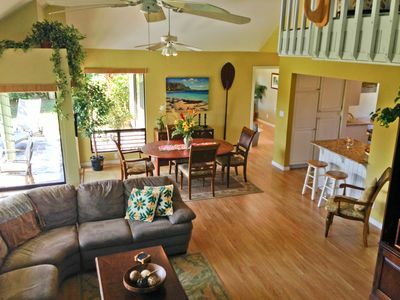 Immerse yourself in the magic of Kauai through this conveniently located townhouse in the heart of the Master Planned Princeville Resort on Kauai's North Shore. 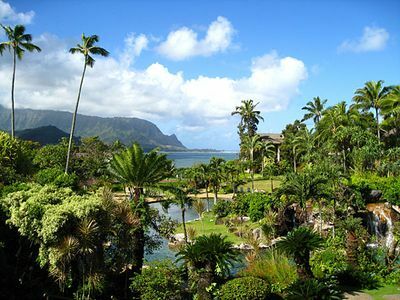 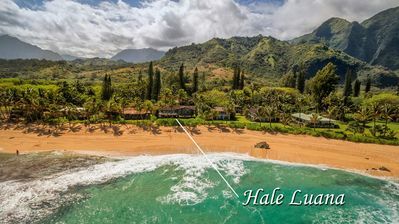 Nestled between the breathtaking Prince and Makai Golf Courses and adjacent to the 5 star resort of The Westin Princeville Ocean Resort Villas, it makes for a perfect place for your dream vacation. 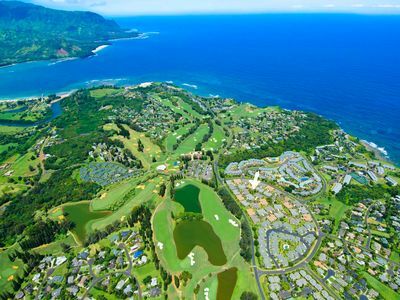 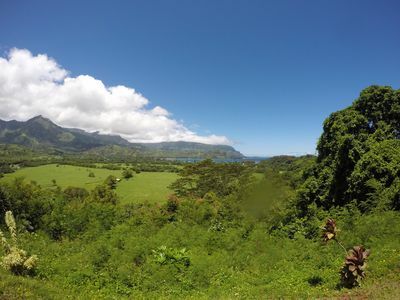 Being in Princeville also means being close to shopping, dining, beautiful tropical beaches with breathtaking sunsets and gorgeous hiking trails. 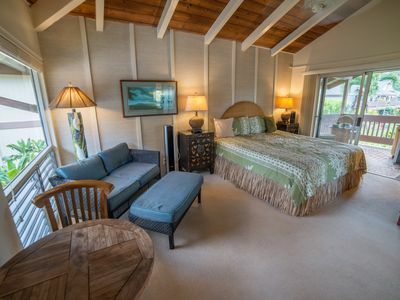 The quiet and tranquil location makes it a perfect place to come back and relax after a long day of exploring the beauty of Kauai. 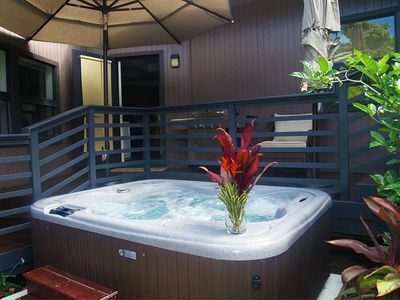 We have CableTV with 300 channels, fast internet / WiFi, and unlimited US calling set up for you. 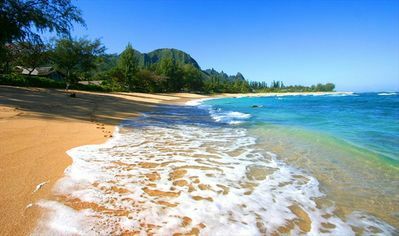 We've tried to provide for all the common beach accessories including a couple of boogie boards, chairs, umbrellas, snorkeling equipment, etc. 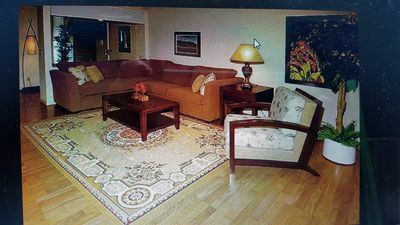 Please understand that these are provided for free for your use, and we cannot always immediately replace an item broken by the previous guest (just not enough time). 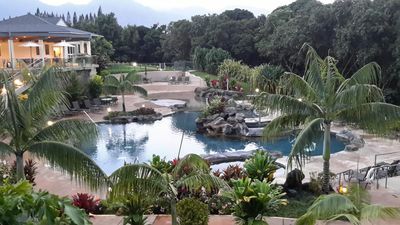 There is a new BBQ outside at the patio as well. 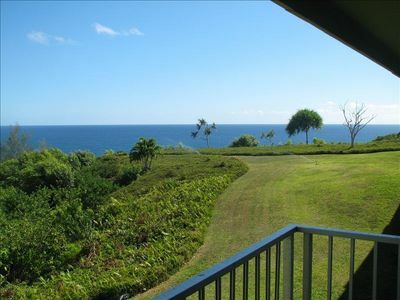 This unit is at the end of Puamana, right across the Westin, and right by the forest trail that goes down to Anini Beach. 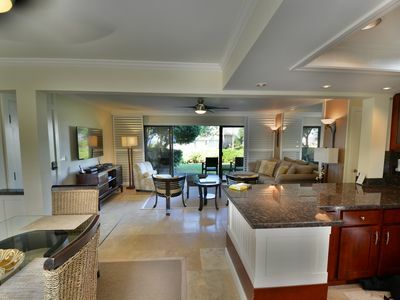 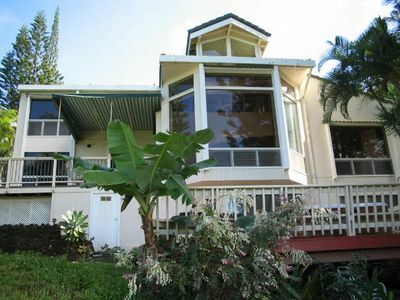 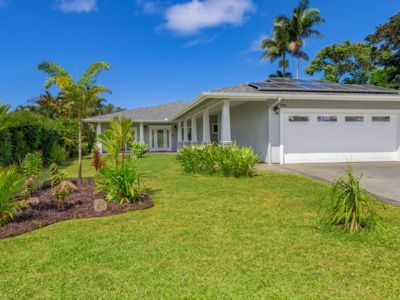 Beautiful 5 Bedrooms for 10 in Princeville!